Holiday tradition • Baritone and actress to perform with Mormon Tabernacle Choir. Opera singer Nathan Gunn and actress Jane Seymour will be celebrating Christmas with the Mormon Tabernacle Choir this year. Gunn and Seymour were announced Thursday as guest stars of the choir's annual Christmas Concerts, set for Dec. 15-18 in the LDS Conference Center in downtown Salt Lake City. Choir president Mac Christensen and music director Mack Wilberg made the announcement Thursday, as recent tradition dictates, on KSL radio's "The Doug Wright Show." Gunn, interviewed by Wright by phone from Houston, said he was thrilled to perform with "the most famous choir on the planet." It's not Gunn's first time with the Mormon Tabernacle Choir. He performed in 1998 in the Salt Lake Tabernacle. "It was shocking," he said of the experience. "I wasn't prepared for the amazing warmth coming from behind me." Seymour, on the phone with Wright from a Hollywood soundstage, called herself "just a huge fan of the choir. … Any chance to be involved with a world-famous choir and a world-famous orchestra is music to my ears." Gunn, 41, is a baritone born in South Bend, Ind. He has performed with major opera companies across the country and at the Paris Opera and London's Royal Opera House. In 2008, People magazine put him on a list of the "Sexiest Men Alive" alongside actors Ryan Reynolds and James Franco, celebrity chef Gordon Ramsay, Britain's Prince Harry, Sarah Palin's husband Todd, and adventurer Bear Grylls. The British-born Seymour, 60, is familiar on the big screen and small screen. She has been seduced by James Bond ("Live and Let Die"), experienced a time-traveling romance ("Somewhere in Time"), saved countless lives on the prairie ("Dr. Quinn, Medicine Woman") and been an oversexed mother of the bride ("Wedding Crashers"). She co-starred in the 2006 romantic comedy "Blind Dating," filmed in Ogden and directed by her husband, actor-filmmaker James Keach. She is also an author and philanthropist. The concerts are set for 8 p.m. on Dec. 15-17, and 9:30 a.m. on Dec. 18 (a live broadcast of "Music and the Spoken Word" with mini-concert to follow), in the 21,000-seat LDS Conference Center. The 84,000 tickets are free, and will be distributed by random drawing. Registration for the ticket drawing starts this Saturday at 12:01 a.m. and runs through Oct. 17. For more information, go to mormontabernaclechoir.org. 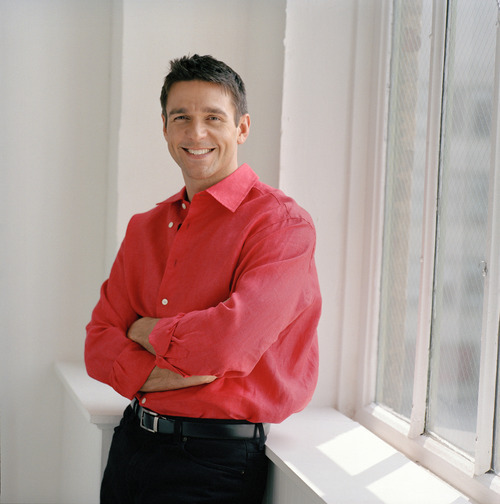 P The Mormon Tabernacle Choir's annual Christmas Concerts, with guest stars Nathan Gunn and Jane Seymour. When • Dec. 15-17 at 8 p.m. with a mini-concert after "Music and the Spoken Word" Dec. 18 at 9:30 a.m.
Where • LDS Conference Center, 60 W. North Temple, Salt Lake City. Tickets • Free, distributed by random drawing. Registration for the ticket drawing starts Saturday, Oct. 8, at 12:01 a.m., and runs through Oct. 17.